Today I had a team lunch at Hayku Buffet. I ate A LOT! And with that, no time for a lunch time walk. 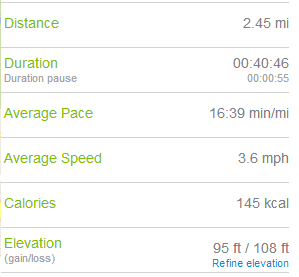 But also because of that I simply needed to walk, so I could burn the calories I consumed over the feast at lunch. So, at around 5:30, when I was about to leave for the day, I decided to go for a walk at that time. But by that time, fog was already touching the ground. And it was thick fog. Really thick! But the walk was refreshing. By the end of its 2.56 miles I was breathing well and felling less stuffed (not for long though, as tummy is indeed stuffed, but at least I felt good for a while). 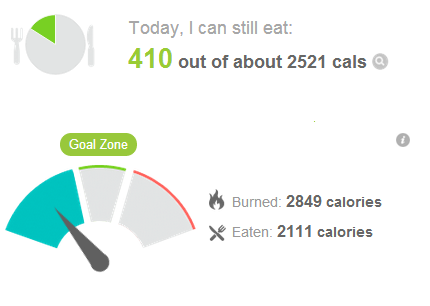 And the greatest is that I still managed to meet my goal of consuming 500 less calories than the amount of calories burned. Actually after lunch I had only a latte and a chocolate truffle. Nothing more, except water. 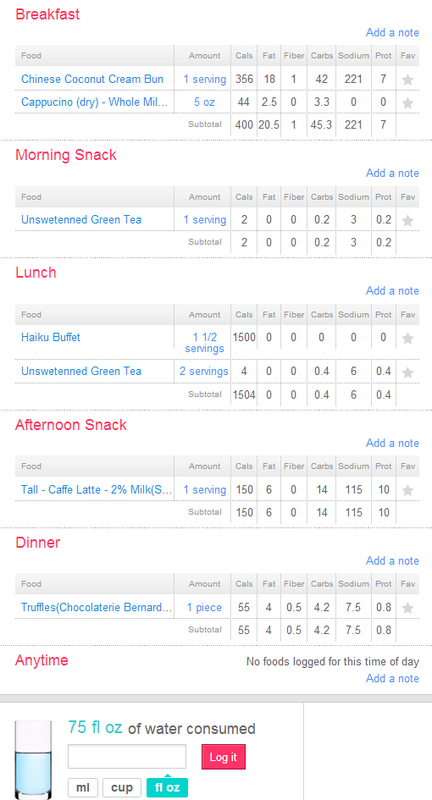 Of course none of the calorie measuring are really accurate but based on somewhat informed guesses or calculations, I did it! Yay!